​Anthony Davis might have been a New York Knick by now if it wasn't for that rascally Kristaps Porzingis. On the day KP was dealt to the Dallas Mavericks, the Knicks were reportedly working on a trade with New Orleans with the knowledge that Madison Square Garden was Davis's top choice for a trade destination. Unfortunately for Knicks fans, Porzingis refused to agree to an extension with the Pelicans and the deal fell apart. Fast-forwarding to today, Davis remains in New Orleans as the ​NBA trade deadline approaches. 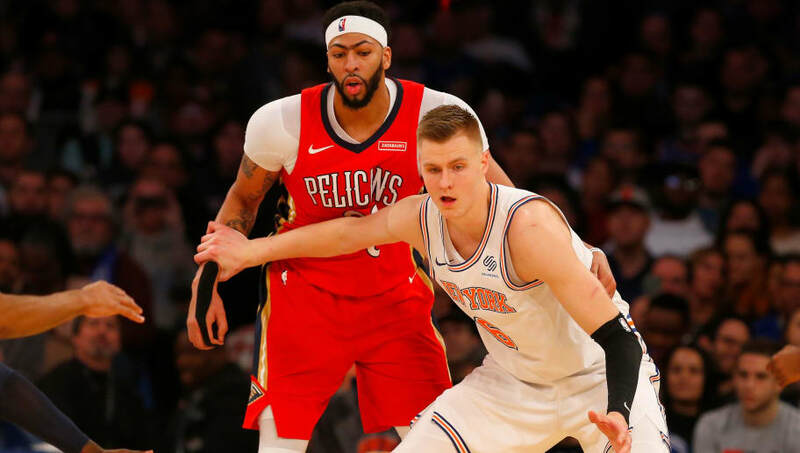 The Lakers had been considered the subsequent leading candidate to acquire Davis after the Knicks shipped Porzingis to Dallas, but the Pelicans' ​high demands for his services had kept any deal from being made up to this point. Any deal to Los Angeles that does occur would have to be contingent on Davis signing a contract extension with the Lakers; otherwise, he could simply opt out and leave in free agency after next season. If no deal is made with the Lakers, the Knicks could have an outside chance to pull off a deal at the last minute since Davis hasn't played for the Pelicans since he​ requested to be traded. With few assets remaining, the chances of Davis suiting up for the Knicks anytime soon are essentially zero, but the pipe dream can still exist for 2020. No action is the best action for Knicks fans at this point.